So as great as it was having endless great meals in Boston, i was getting serious withdrawals from cooking. This quite often happens if I’ve been away for a while, it starts like a little itch and seems to grow until i’m fidgety and desperate to cook something, anything in fact. Well unfortunately (or fortunately given that his food is delicious) Alex has the same reaction to being out of the kitchen for extended periods of time and he tends to win so my cooking has been a little thin on the ground since our return. There have been a few dabbles however. Firstly, a couple of days ago the weather was gorgeous so I decided to make the most of it and slap together a quick alfresco lunch. 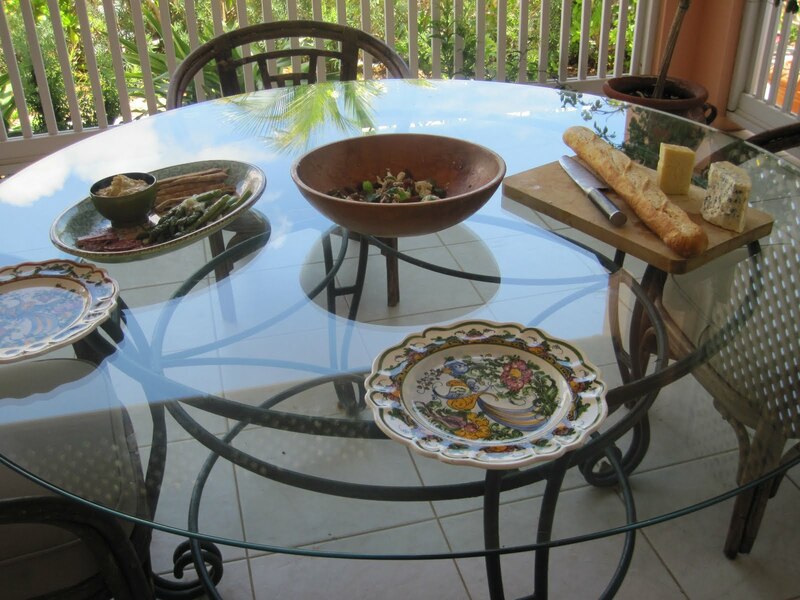 There’s something about warm weather that makes me desperate to eat outside. I think it probably has to do with growing up in England, a country not exactly blessed with an abundance of warm days. Whenever it was warm enough we’d eat outside, salads, sandwiches, a roast, we weren’t fussy, we’d gather it up and head into the garden and somehow it made the whole affair more special, more of an occasion. In the evenings this was usually accompanied by candlelight, little tealights flickering in jam jars and big citronella candles to keep away the bugs. Now granted, there’s a pretty high percentage of warm days here but it doesn’t seem to stop me. I wasn’t in the mood for anything too complex, just something quick and fresh. so finding asparagus in the fridge was a dream. 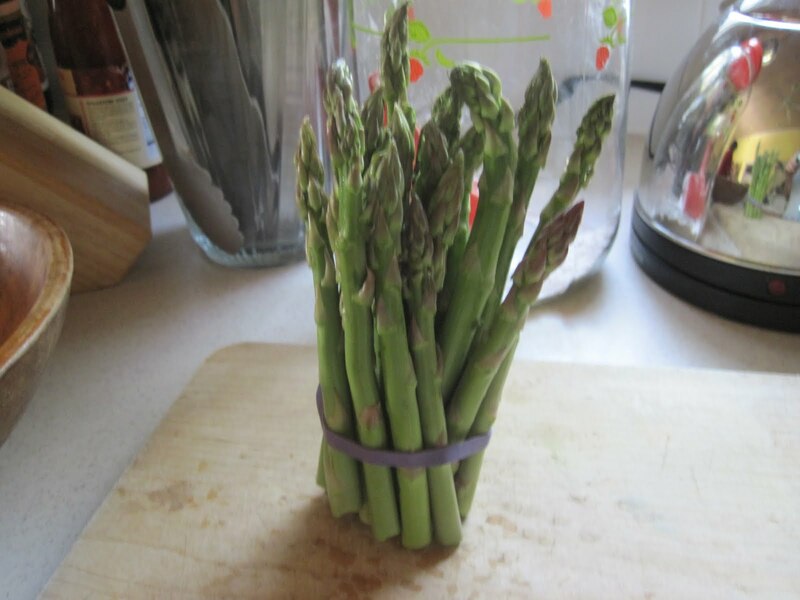 Now i must admit, i have a fairly ridiculous fixation with asparagus, i eat it almost every day when it’s in season so i wanted it fairly simple for my first run at it. For me there are very few better things to do with it than to quickly cook it – in this case i simply boiled it – before tossing it in some good olive oil, a little balsamic vinegar and sprinkling with sea salt and pepper. I decided to make it even better and top it with some slivers of delicate Pecorino that our amazing friend Andrea brought us back from Italy. Lets be honest, what isn’t better when topped with cheese? Very little. 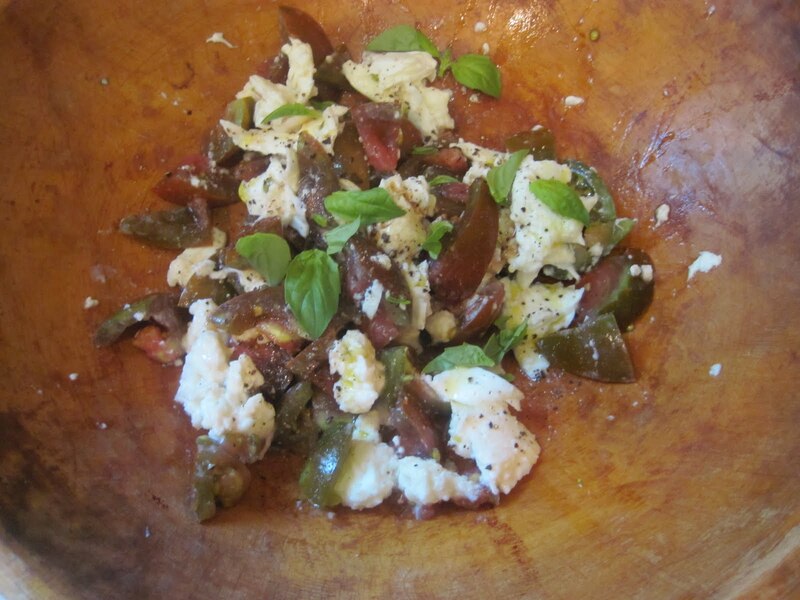 To accompany this I added some fennel salami which Alex found in the local supermarket. 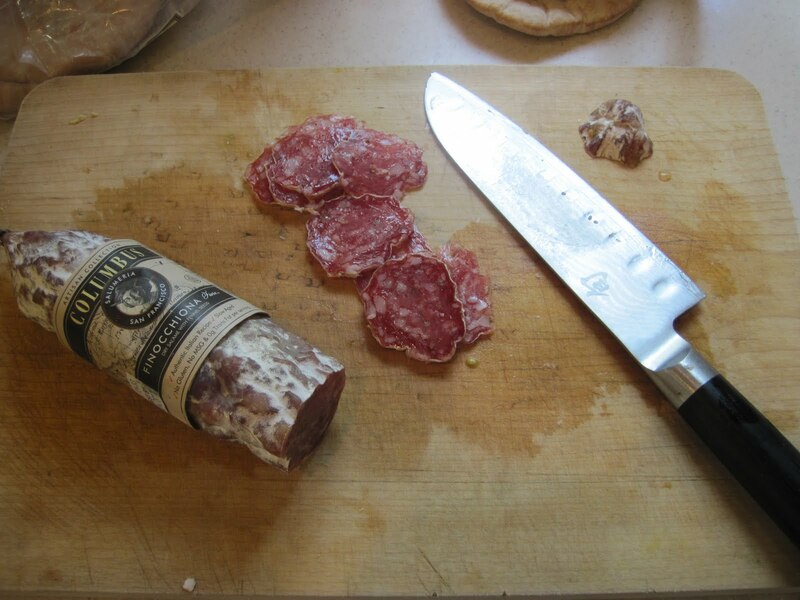 Given that the salami section had replaced a pretty unappealing cold cut counter, i was excited to test it out. I must say i was impressed, although it didn’t have the strongest taste of fennel, it was nevertheless yummy. It has to be sliced super thin for me though, i’ve never been a fan of it when it’s thickly sliced, the texture’s just too chewy. 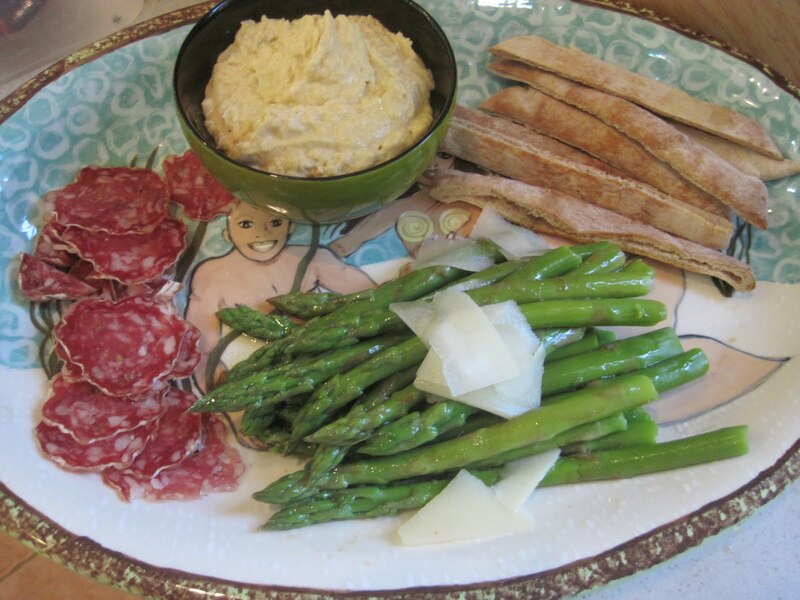 This piled on a plate with some pitta bread and hummus seemed like a pretty good starting block. I wanted something salady too though so I went for the classic Caprese- mozzarella, tomato (in this case Black Russian heirloom ones) and basil. I usually add either spring onions or chives for a slight oniony flavour but i hadn’t been food shopping so that was a no go. As it’s such a simple salad, everything in it has to be great quality. Another good tip is to place the chopped tomatoes into a colander in the sink and sprinkle them liberally with salt. This ensures that some of the moisture is drawn out and the flavour of the tomato is concentrated, making the whole salad taste better. To finish it all off we had some fresh baked french bread and some cheese, for no other reason than we wanted some, nothing else. All in all it was pretty satisfying, lots of different things going on, and when coupled with being able to sit outside in the breeze, it was lovely. 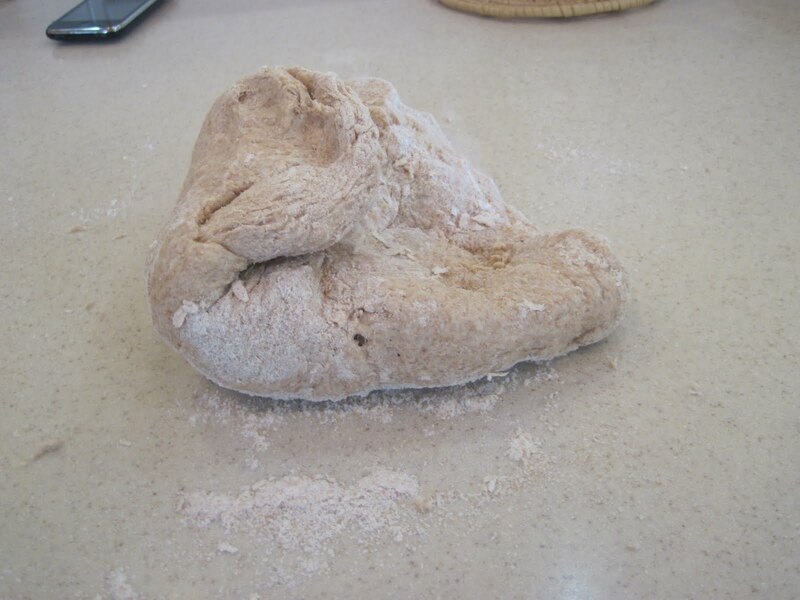 Later that day, the bug still not satisfied, i decided to bake some bread. This is something i love to do, it’s so therapeutic. 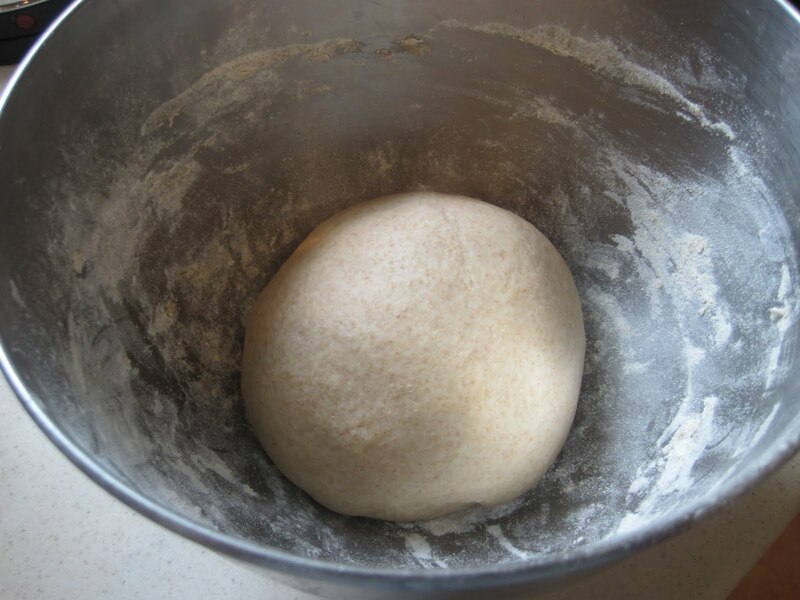 Plus, there are few better smells than that of baking bread, it’s so comforting. 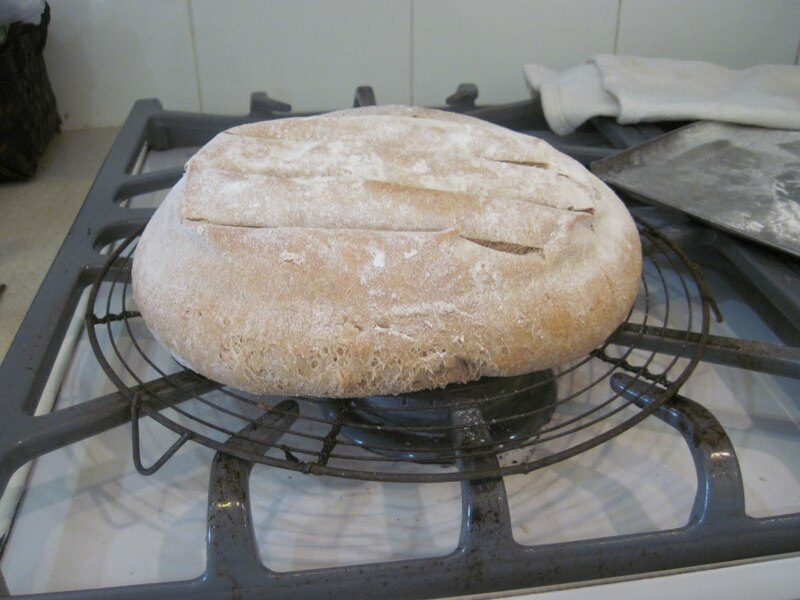 It’s also far more simple than most people think, once you’ve mastered the basic loaf there are so many things you can add to it – cheese, seeds, nuts, spices – whatever you feel like. Best to start out with the basics though. I felt like brown bread that day so i grabbed my scale and got started. 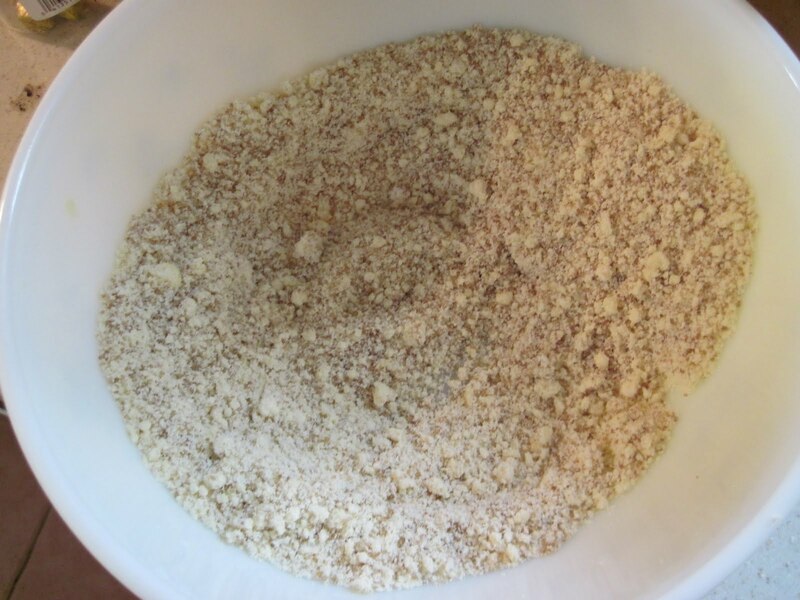 It’s important to use 50/50 white and wholemeal flour as the texture will be far too dense if you use all wholemeal. If you can get hold of fresh yeast then use that (you can get it behind the bakery counter in Sainsburys if you’re in the UK and it’s super cheap). If not, dried is fine. 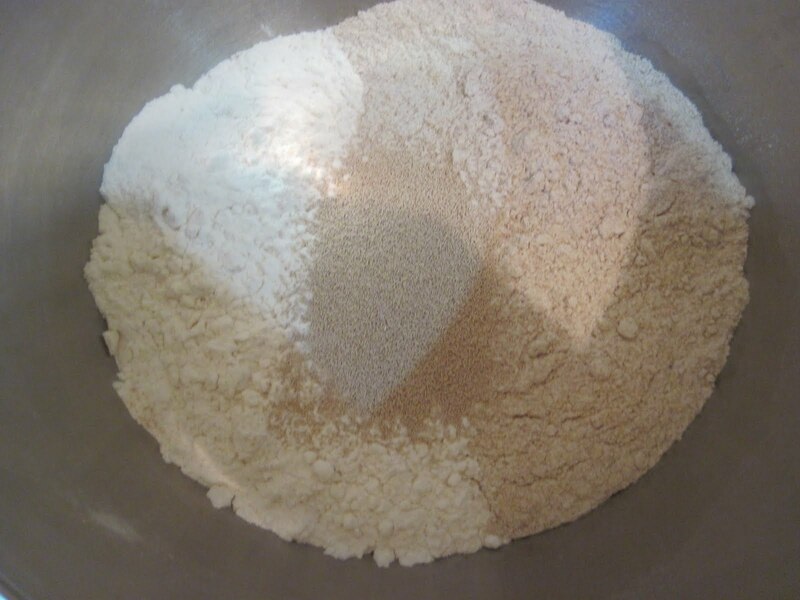 Put the sugar, salt and flours into a bowl, don’t sieve the wholemeal flour as you’ll separate the husk which you want, and add the yeast. 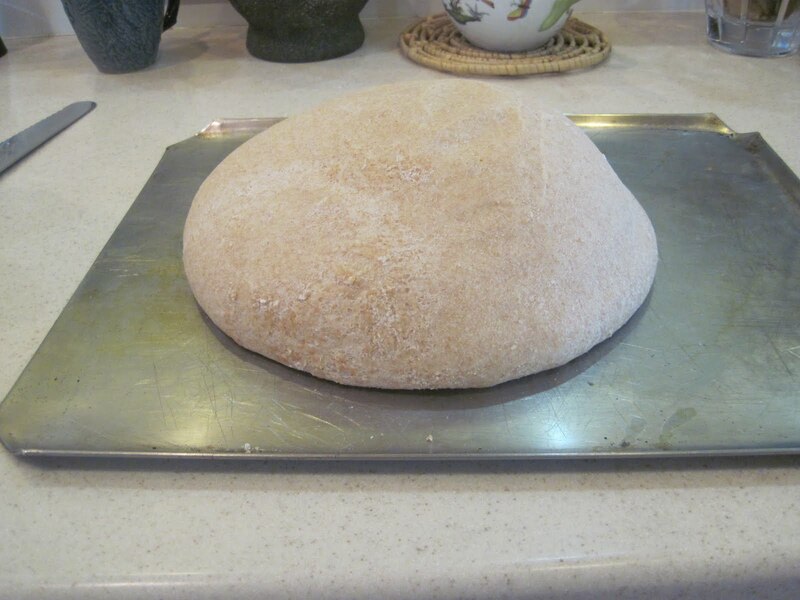 cover with cling film and leave somewhere warm and cosy until it’s doubled in size about an hour, then punch it (seriously) to knock all the air out and form it into a ball again, this time on a floured tray and put it back in that same place until it’s doubled in size again, about 45 mins. It should be pretty comfortable there by now. Once it’s looking like it’s nearly done, preheat the oven to 180C/350F. If you want to, i did, you can make some cuts in the top and then dust it with flour just before you put it in the oven. Cook it for about 30 mins, until the outside is crisp and sounds hollow when you tap it. Leave to cool on a wire rack and then tuck in. The weekend passed pretty uneventfully on the food front so come monday morning i was back on the baking wagon. 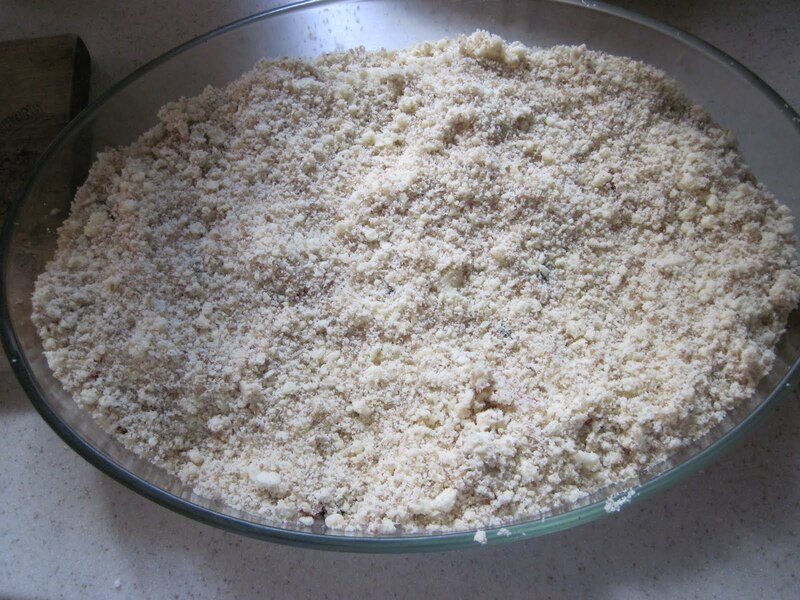 To start out with, i decided to make a crumble. We had people coming over for lunch and i was given a 30 minute dessert warning, somehow i didn’t do what i usually do and panic and crumble popped into my head. Once you have a basic crumble topping down, you can pretty much go anywhere with it, you can change up the fruit, add spices, nuts, whatever. For this one I just went simple as i was limited on time. Firstly, preheat the oven to 200C/400F. 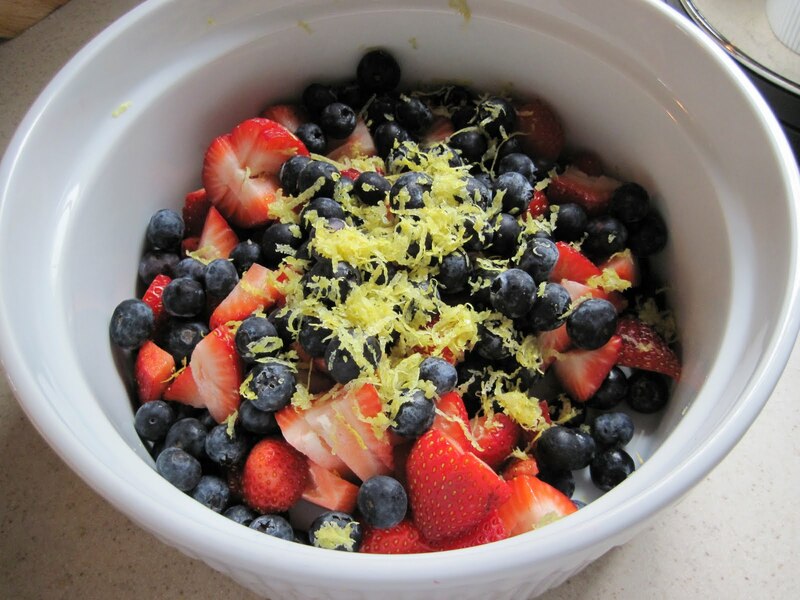 Chop the strawberries into small chunks, so they’re not much bigger than the blueberries and sprinkle over the zest of a lemon and 1tsp caster sugar. 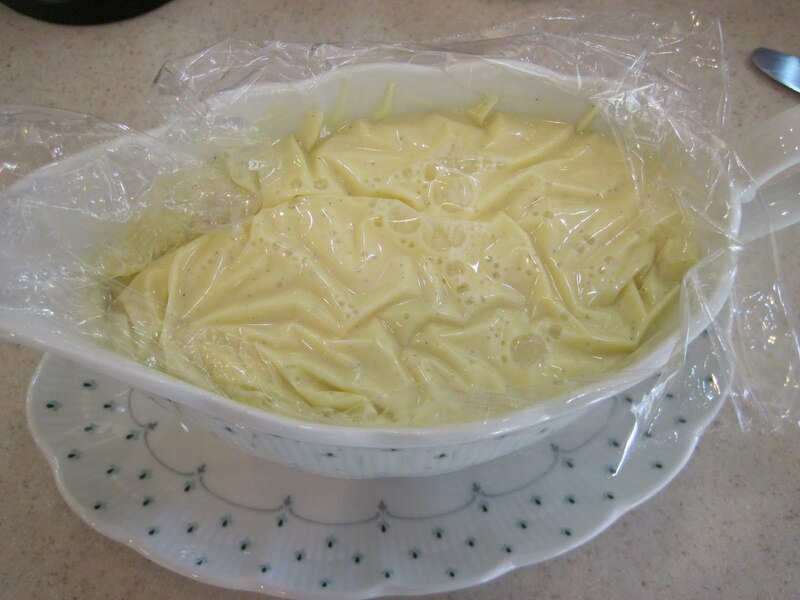 put into an ovenproof dish. Stir through the sugar and sprinkle the topping over the fruit. Pop into the oven for about 30 minutes and take it out once the top is getting crispy and the fruit is jammy and bubbling up the sides. This one’s such a crowd pleaser and it’s so easy to do. You can either just serve this with a scoop of shop-bought ice cream or you can go the extra mile and make some creme anglaise (custard) to go with it. This takes seconds but it’ll impress everyone so if you can be bothered, i’d recommend it. 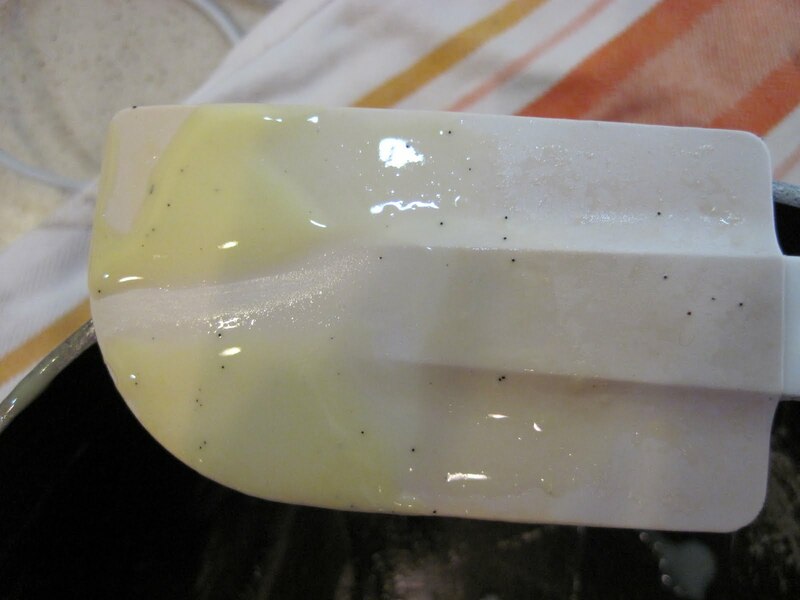 Put the cream in a saucepan and heat until it just starts to bubble round the edges then add the vanilla and remove from the heat. 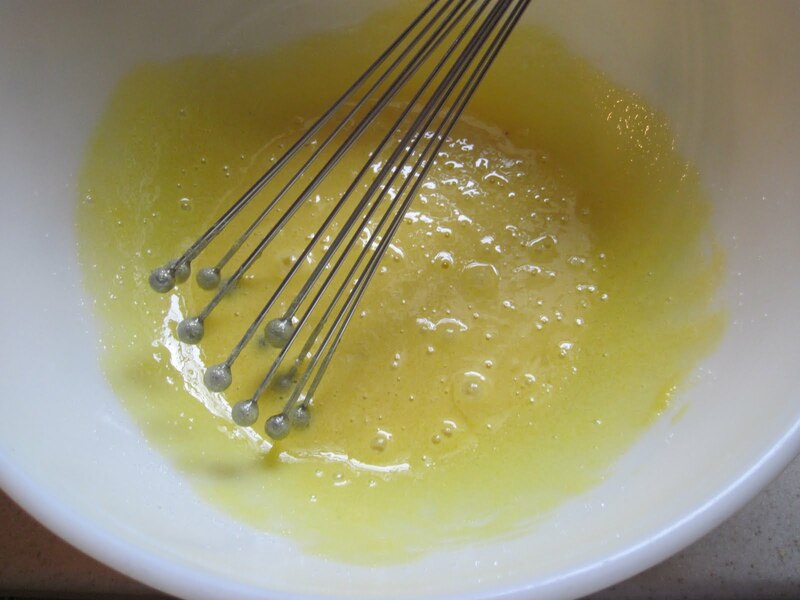 In a bowl, whisk together the egg yolks and sugar until pale and creamy looking. That’s it. 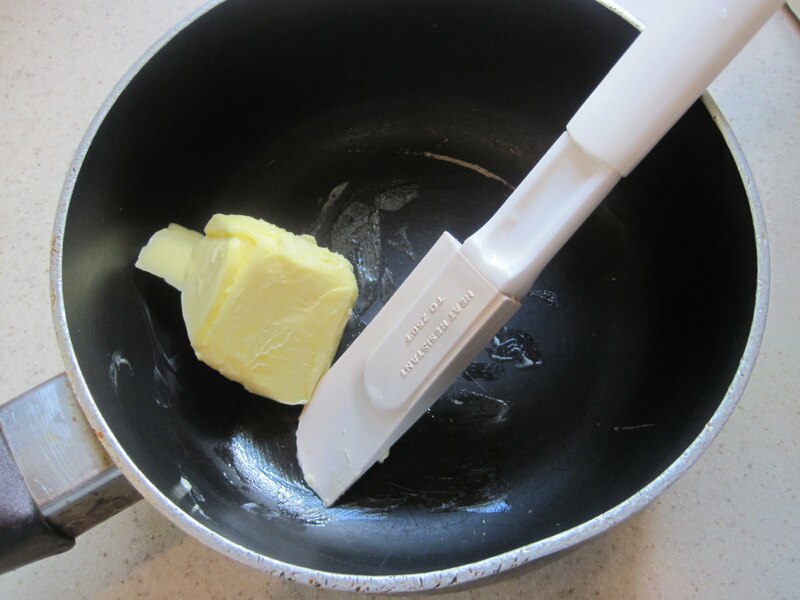 you’re done, all you need to do now is either serve it straight away and gobble it all up or, if you’re not eating it straight away, pour it into a jug and put a piece of cling film directly onto the surface to prevent a skin forming.